The RAND Corporation and the LSE Middle East Centre convened a workshop on 28 March 2018 bringing together analysts specialising in Russia and the Middle East. The workshop was the third in a series that examined the dynamics of Russia’s activities, relationships and overall strategy in the Middle East in order to identify the limitations of Russia’s approach to the region. The workshop was split into four sessions, each exploring a relationship certain Middle Eastern countries and Russia. The first session examined the contours of Russia’s relationships with the Gulf states, both as individual states and as a regional bloc. The second session delved into the complicated relationship between Moscow, Baghdad and Erbil, emphasising the role of energy. 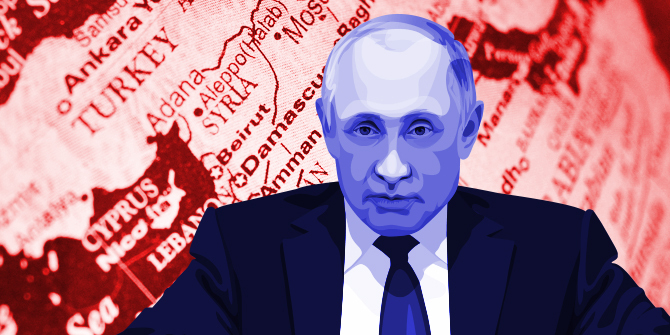 The third session explored Russia’s seemingly strengthened security partnership with Iran, highlighting the political and economic points of friction. Lastly, the final panel examined Russia’s involvement in Syria and Moscow’s relations with the Assad regime. This blog series features a selection of memos presented at the workshop. Becca Wasser is a policy analyst at the nonprofit, nonpartisan RAND Corporation, where her primary research areas include wargaming, international security, and US defence and foreign policy in the Middle East. She tweets at @becca_wasser. added I recieve 4 emails with the same comment. Is there a way you are able to remove me from that service?